Q1. 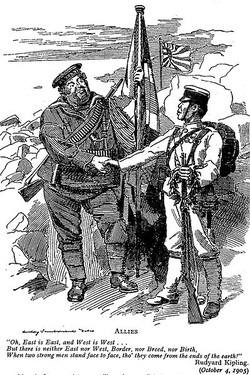 What can a historian learn from this source about how the Japanese were seen by 1905? Q2. How are the Japanese portrayed in these extracts from 'The Death Trap'? Q3. What does this novel suggest about the significance of Japanese victory in the Russo-Japanese War?